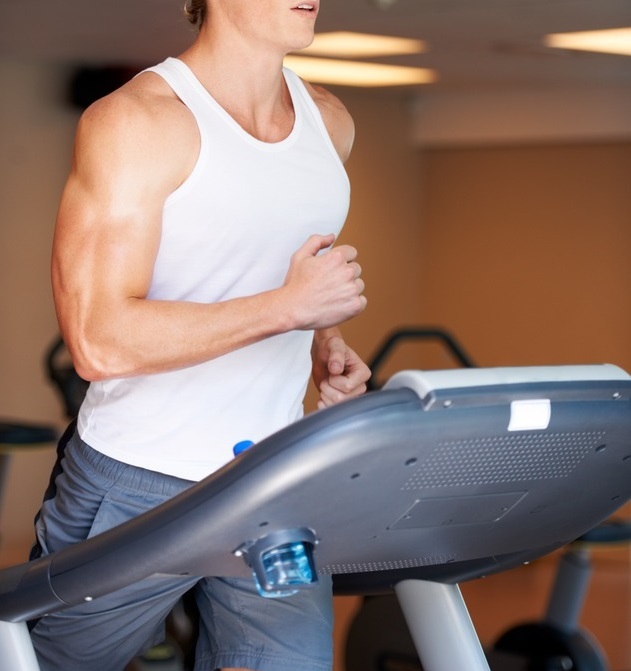 Many guys fear the treadmill, believing it has a mystical ability to shrivel up muscle and sap strength. And many bodybuilder types bash cardio simply because they don’t like doing it. While it’s clearly evident that excessive cardio causes muscle loss (just look at any marathon runner), what about moderate cardio? 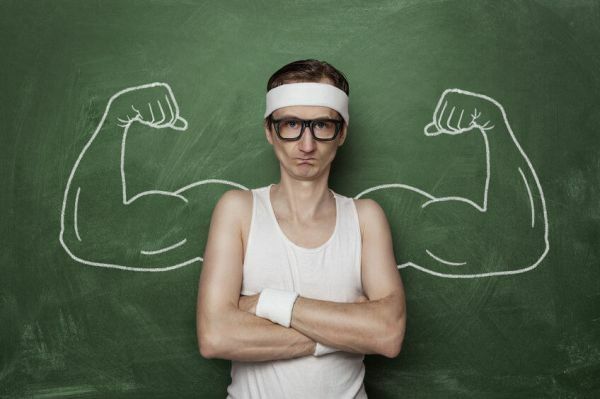 Will it interfere with your muscle growth? Or will it help? Well, it can go both ways, actually. So, Cardio While Focusing on Muscle Growth—Yes or No? 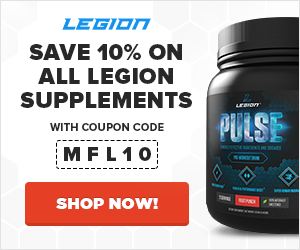 What are your thoughts on cardio and muscle growth? Has including or excluding cardio worked best for you? Let me know in the comments below! It improves your body’s metabolic responses to food. It keeps up your conditioning, making the transition from “bulking” to “cutting” easier on your body. As you know, intense exercise causes damage to muscle fibers, which must then be repaired. This damage is the cause of the soreness that you feel the day or two following a workout, and is known as delayed onset muscle soreness, or DOMS. The reparation of the damage is a complex process that is partly regulated by two simple factors: how much of the substances needed for repair are brought to the damaged muscle over time, and the speed at which waste products are removed. 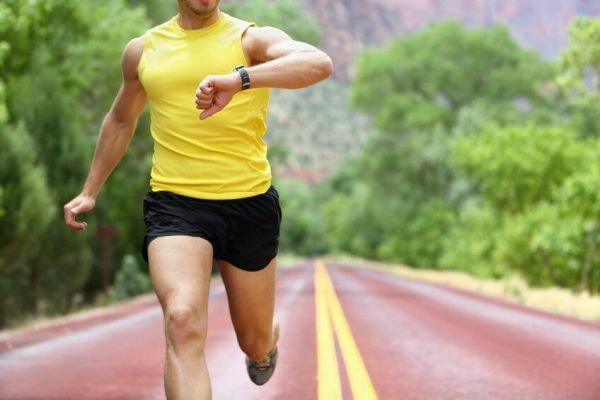 Thus, cardio can help your body repair muscle damage quicker because it increases blood flow. This helps your body build the muscle back up quicker and remove the waste, which results in an all-around quicker recovery. This is why I always do a cardio session on legs day–it dramatically reduces leg soreness in the days to follow. It’s worth noting, however, that these benefits are primarily seen in the legs because most forms of cardio don’t really involve the upper body. If you want to boost whole-body recovery, then you would need to do something that gets your upper body working, like a rowing machine, or even using your arms to help pump on the elliptical. In our collective dietary fantasy, all nutrients eaten would be sucked into the muscles and either absorbed or burned off, and none would result in fat storage. And when we dieted to lose weight, all energy needs would be met by burning fat, not muscle. The reality, however, is that our bodies do these things to varying degrees. Some people’s bodies store less fat when they overeat (they burn off more excess calories instead of storing them), and lose less muscle when they diet for weight loss (more energy is sucked from fat than muscle to make up for the caloric deficit). Other people, on the other hand, are more likely to store excess calories and lose muscle when they restrict calories for weight loss. Hormones like testosterone and cortisol play major roles in this (higher levels of testosterone promote more muscle and less fat, whereas higher levels of cortisol promote less muscle and more fat), but unfortunately there isn’t much we can do about either beyond injecting ourselves with drugs. Our genetics have basically set our normal physiological hormonal ranges and that’s that. All is not lost if you’re not of the genetic elite, however. 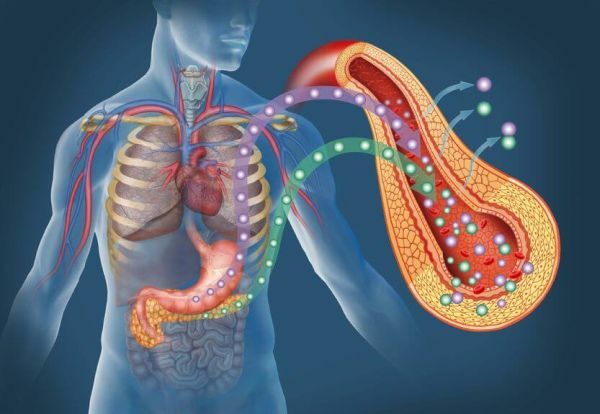 Another factor in what your body does with the food you eat is insulin sensitivity (how well your cells respond to insulin’s signals). As discussed in my advice for “hardgainers,” being insulin sensitive is highly beneficial when you’re eating a surplus of calories to build muscle, whereas insulin resistance inhibits muscle growth and promotes fat storage under these dietary conditions. Now, genetics do affect natural levels of insulin sensitivity as well, but you can do various things to manipulate this mechanism. This is where cardio comes in, because it improves insulin sensitivity, and does so in a dose-dependent manner (meaning the more you do, the more benefits you get). So, cardio can help your muscles better absorb the nutrients you eat, leaving less available for fat storage. A common issue in the bodybuilding world is the dramatic reduction in cardiovascular fitness when focusing only on heavy weightlifting for months on end. Building one’s cardio conditioning back up is not only uncomfortable, but going from doing absolutely no cardio to several sessions per week, on top of a caloric deficit (as cardio is added back in for weight loss purposes), puts a lot of stress on the body. This added stress makes weight loss physically and psychologically tougher, and can even accelerate muscle loss. By keeping regular cardio in during your bulking phases, however, you can maintain your metabolic conditioning and prevent the “shell shock” that many people experience during the beginning of a cut. It’s also common for people that have bulked for months without cardio to experience an initial lag in weight loss. Those that keep their cardio in seem to better retain the ability to oxidize fat. As I said earlier, cardio can both hurt and help muscle growth. The two primary ways it can negatively affect your gains are by reducing your caloric surplus too much, and by causing you to overtrain. The surplus issue is pretty moot, however. Normal cardio sessions don’t burn that many calories (a few hundred at most), which is easy enough to correct. But if long, intense sessions are done, that could cause caloric issues. “Hardgainers” might have something to worry about in this regard as they usually have trouble eating enough as it is. Research has shown that low-intensity cardio stimulates the appetite, however, so including some every week can actually help with eating enough. Issues relating to cardio and overtraining revolve around intensity and frequency. Simply put, the more cardio you do, and the more intense it is, the more your strength and growth will be negatively affected due to excessive stresses put on both the central nervous system and muscles being worked (usually the legs get it the worst). I think the positives of including cardio when you’re bulking clearly outweigh the negatives, especially considering the fact that the negatives are easily dealt with. Generally speaking, I prefer HIIT cardio to steady-state even when bulking, despite the fact that it puts more stress on my body. Research has shown that HIIT cardio preserves muscle better than steady-state , but don’t take that as a carte blanche to do hours of HIIT every week while bulking. The point at which the added cardio will impair your strength gains and muscle growth will depend on your genetics and conditioning, but a safe recommendation is no more than 2-3 sessions of cardio each week, for no longer than 30 minutes. If you find even that much HIIT negatively impacts your strength, then opt for a few sessions of low-to-moderate cardio each week instead. This is enough to enjoy its benefits, while avoiding its drawbacks. And as a little added bonus, research has shown that cycling is a better choice than running when you’re trying to maximize muscle gains, probably because it mimics actual movements you perform with weights. I experienced this when I made the switch to cycling for all of my cardio: my leg strength dramatically jumped over the following several months.